Claud Blair :The Conington Effigy: Fourteenth Century Knights at Conington, Doddington and Tollard Royal. 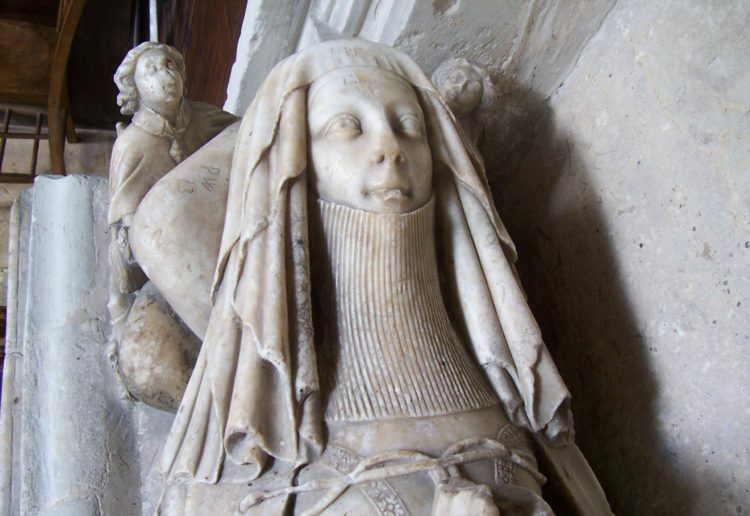 Discusses Purbeck marble effigy of knight wearing a Franciscan friar’s habit over mail armour at Conington, Hunts. Discusses the bacinet worn over the coif and its date implications. Also described and discussed are the Purbeck knight at Dodford, Northants c.1344 and the stone knight at Tollard Royal, Wilts. It is suggested that Corfe or Salisbury workshops were the source of these 2 effigies; London is the place of manufacture for the Conington effigy. An appendix by Ron Firman discusses the Purbeck marble industry post 1300. He also discusses the trade in alabaster from Poole and other Southern ports. Jon Bayliss: Richard and Gabriel Royley of Burton-upon-Trent, Tombmakers. Around 100 monuments survive from the Royley workshop mid 1540s – late 1590s, also incised slabs. Describes and illustrates the surviving work of this rather conservative firm which continued to work in alabaster in the medieval tradition. An appendix lists surviving tombs. SE chapel dedicated to Sondes family. Series begins with William d.1474 and ends Lewis Duras d.1709. Churchyard monument to Thomas Dunn d. 1857 at Otley, Yorks featuring recumbent effigy of his widow Carolina. The sculptor was Dennis Lee of Leeds. Martin D. W. Jones: Gothic Enriched: Thomas Jackson's Mural Tablets in Brighton College Chapel. 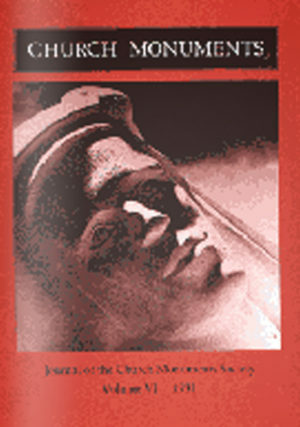 Richard Knowles: Tale of an Arabian Knight: the T. E. Lawrence Effigy. Describes the monumental effigy to T.E. Lawrence at Wareham, Dorset carved by E.H. Kennington. Portland stone 14C style. Illustrated by series of photographs taken during its creation 1936-39.